The first thing I planned to do this morning was to take a hot shower. I woke up this morning to sleet. 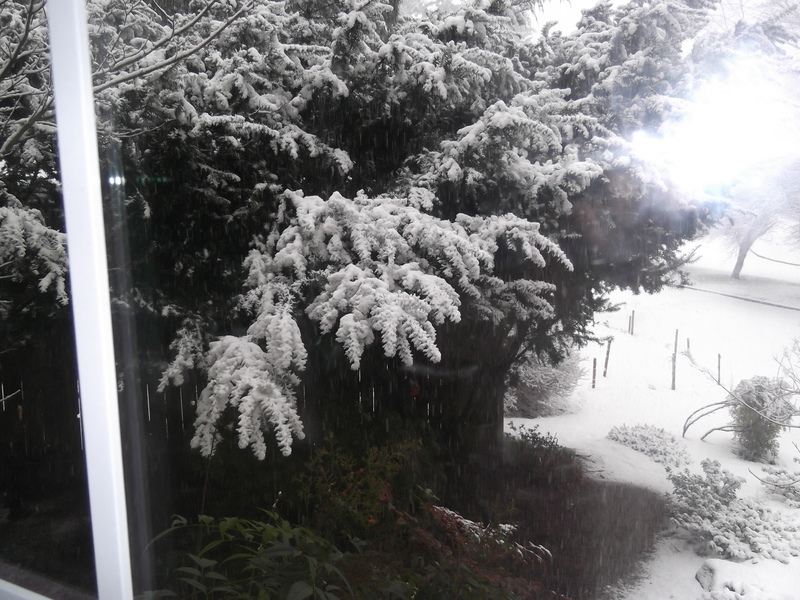 And snow. Hail and rain may have also figured in there. My bedroom has big windows. It looked cold out there. So there I was, snuggled under the covers, with hubby home to make breakfast for the kidlings, various forms of mostly frozen precipitation having their merry way out of doors – and no major motivation to get out of bed. When I finally got up, my first thought was to check on the local wildlife. I could smell coffee and hear screams. Once that was dealt with, my own breakfast seemed to be in order. I got sucked into various tasks. Laundry. Dishes. Email. Posting. Caulking the tub – which did manage to get me out of my pajamas and robe and into paint clothes at the early hour of 4:00. PM. Other things eventuated. Bread had to be baked. The mail arrived. Board games required umpiring, and mirrors needed to be hairsprayed. Still, I longed for my hot shower. The day wound to a close. Family evening devotionals were held. The question of whom Saul talked to via the witch of Endor was resolved. (“God?” “No.” “An angel?” “No.” “I know! A squirrel!”) Obviously we need to work on our listening comprehension. The kids were put to bed. The dishwasher was started. I finally climbed into the tub. Afterwards, I went straight back into pajamas… but, hey! I got my shower! 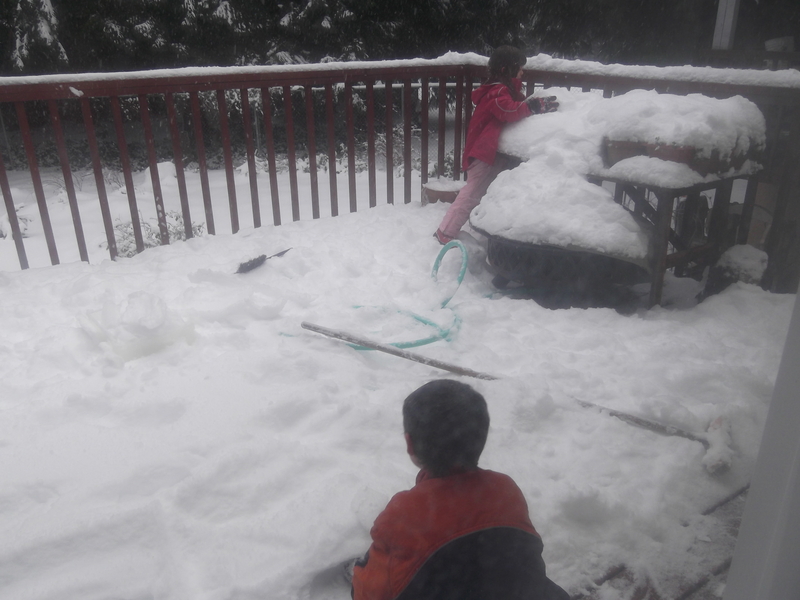 This entry was posted in Homeschool, Uncategorized and tagged Busy, Homeschool, Snow. Bookmark the permalink.